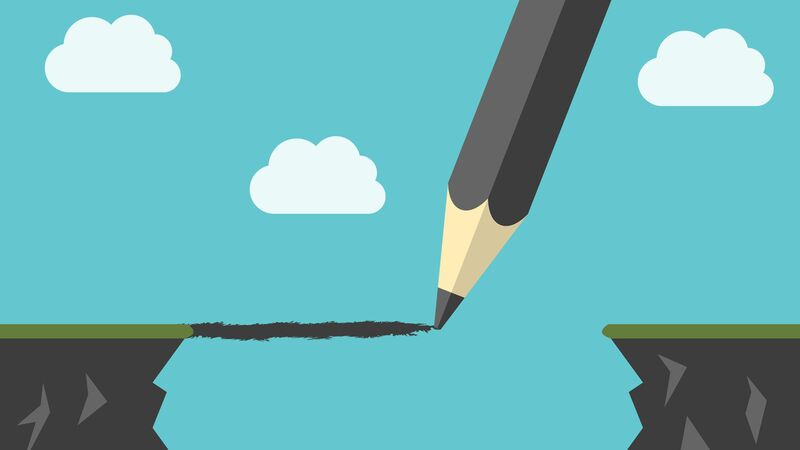 Foster a culture of successful innovation by empathizing with fellow educators who are uncomfortable with risk, modeling a growth mindset, and celebrating effort as well as success. We’ve all heard the calls for innovation ringing through the education field. This age of exponential change leaves us no choice—we must change or our students will fall behind. But for many educators, shifting away from the status quo can be incredibly uncomfortable. So how do we encourage every educator to seek out that discomfort rather than avoid it? Risk: They enjoy experimentation. They look for opportunities to try new technology with their students, redesign assessments, suggest curriculum shifts, or pilot new programs. 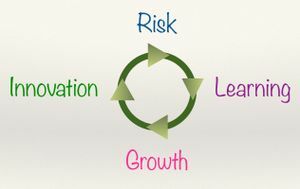 Learn: Each risk may result in success or failure. They embrace both. They gather data, self-assess, reflect, and collaborate so that they can learn as much as possible. Grow: They have the growth mindset described by Carol Dweck. They believe that they can and should continuously improve themselves and their practice. Innovate: They embrace what George Couros calls the innovator’s mindset. They seek new and different ways to solve any challenges they might encounter, which usually means identifying a new risk to start the process all over again. This is hard work, and these individuals should absolutely be recognized for their efforts. But it is tempting—especially for those of us who engage in this cycle ourselves—to focus on their successes and hope that the rest of the community will eventually get on board. Yet if we celebrate only 16 percent of our people, any efforts toward systematic innovation are ultimately doomed to fail. 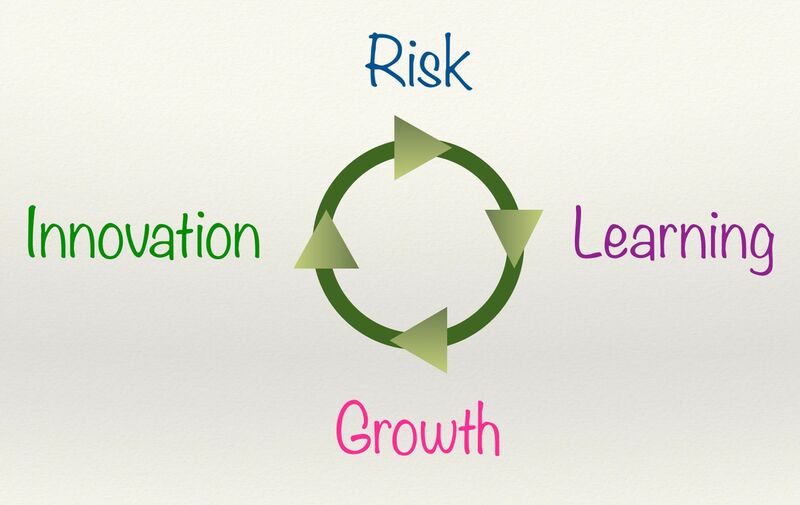 So how do we encourage the rest of our colleagues toward this cycle of innovation? It comes down to one simple thing: School leaders and coaches must foster a culture that celebrates the discomfort inevitably resulting from change. And that requires three key strategies. Ignoring these individuals suggests that they aren’t valued, and if they don’t feel valued, they’ll dig in even harder. Instead, they need us to genuinely respect their concerns and support them in finding positive ways to address those concerns. This will take time, patience, and lots of open-ended questions. But in the end, we will increase the morale and trust that are essential ingredients for systematic change. Educators look to respected leaders or colleagues for direction. Those individuals must be willing to visibly engage in the innovation cycle or no one else will. This means that leaders and coaches must be willing to be vulnerable. We need to communicate when we're taking a risk, asking for feedback, sharing any data that we gather, and then visibly self-assessing and reflecting on the results. Most importantly, we must not hesitate to try again, even when our initial efforts fail. By being honest, sincere, and transparent, we can make it safe for others to follow our lead. Educators want to know that their hard work is valued. A small risk for an early adopter—such as replacing one traditional quiz with an alternative assessment, or changing one lesson plan to incorporate mobile technology—seems like an enormous risk to others. But they deserve our heartfelt respect and applause for taking any step that improves their practice. How we celebrate those risks may depend a lot on the individual. For some, a simple face-to-face interaction—a smile and a compliment—may be preferred. Others may be willing to allow a more public celebration—perhaps through a call-out in a faculty meeting or a reward system. If school policy allows for it, creating an Instagram or Twitter account specifically for highlighting the work of colleagues can be an excellent way to celebrate them both inside and outside the building. This is not a quick fix. It requires an investment of time, energy, and patience that may not be realized for years. But by creating a culture in which our teachers celebrate discomfort, we also enable them to encourage their students in the same way. Have you risked discomfort to grow as an educator? Have you seen colleagues step out of their comfort zone? Please tell us about it in the comments section below.